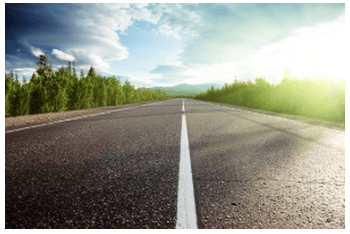 Penned by John O. McManus, founding principal of McManus & Associates, the article “The Road Ahead for Estate Planning” is today featured by LifeHealthPro. LifeHealthPro is a go-to resource for advisors, insurance wholesalers, CPAs and estate planning attorneys. Foundations: With increased taxes, gifts to charity have a greater tax-deductible value. Gifts to foundations allow full deduction in the year of the gift, whereas transfers out of foundation can be as small as 5 percent on an annual basis, allowing assets in the foundation to continue to grow. Charitable trust: These enable one to make gifts to charity and receive immediate deductions. One can continue to receive income from the charitable gift for a period of time. Gifts can also be made where the charity gets a distribution each year and the loved ones receive the remainder. Family mission planning: The family mission and preparing heirs for inheritances are critical to ensuring a successful transfer of wealth and family values, to helping minimize conflict and maximize harmony and to supporting charitable endeavors. Life insurance trusts: Funding a trust with a life insurance policy is a smart way to get a windfall of cash when someone passes away to pay off estate taxes. It’s also an avenue for getting a big asset off of one’s balance sheet, keeping a large amount of cash safe and protected. Make sure the trust is named as the beneficiary and policy owner (e.g., John Doe Irrevocable Trust). If a house is put into a trust and the house is insured, make sure to get the insurance policy changed to reflect the ownership by the trust. The trust should be the primary insured on the policy, and the individual can be the secondary. Several valuable opportunities emerged as part of the fiscal cliff negotiations that pleasantly surprised the estate planning community. We are not completely out of the woods, however, with the debt ceiling debates just around the corner. When it comes to safeguarding wealth and family values, it’s important now to look ahead without losing sight of what’s in the rearview mirror. Read the whole thing at http://www.lifehealthpro.com/2013/02/22/the-road-ahead-for-estate-planning. Also keep an eye out for John’s piece in Monday’s Life Insurance Insider e-newsletter. Next week will be a special estate planning edition.